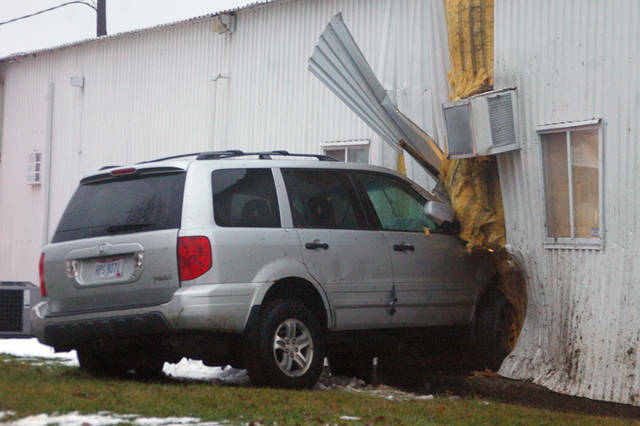 A vehicle crashed into Cope’s Distributing Inc. in Greenville shortly before 5:15 p.m. on Wednesday, causing significant damage to the property. According to Lt. Eric Roberts of the Greenville Police Department, initial reports cited failure to control by the driver as the reason for the crash, and it is thought to have been unintentional. Injuries were reported as a result of the crash, but the extent of the injuries is unknown. This entry was tagged Cope’s Distributing, Cope’s Distributing Inc., crash, Greenville, Greenville Police Department. Bookmark the permalink.